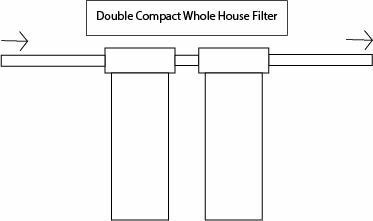 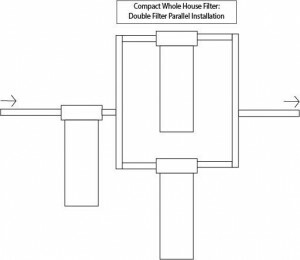 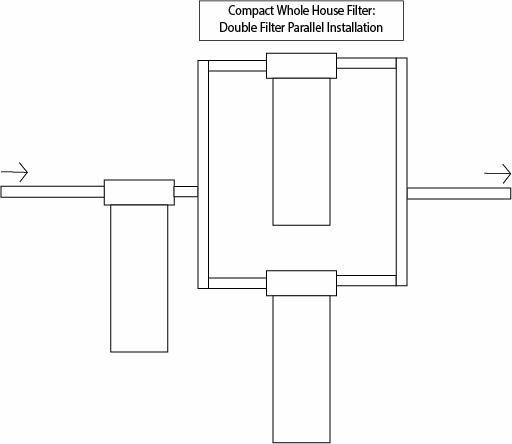 Compact whole house filters using 4.5″x 20″ cartridges in standard “Big Blue” housings or the equivalent can be arranged to effectively support very high service flow rates with parallel installation. 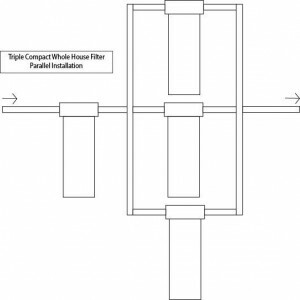 For a sediment filter followed by a carbon or specialty filter. 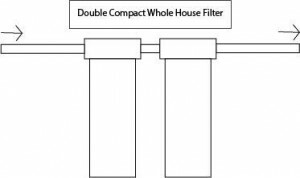 For two carbon or specialty filters, each gets half the service flow. 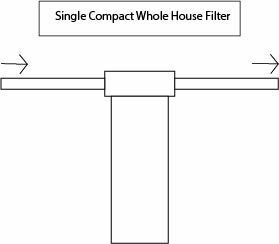 For a single sediment filter followed by parallel carbon or specialty filters. 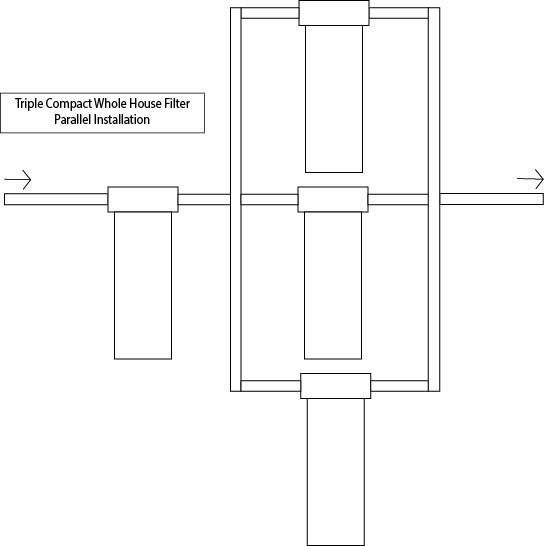 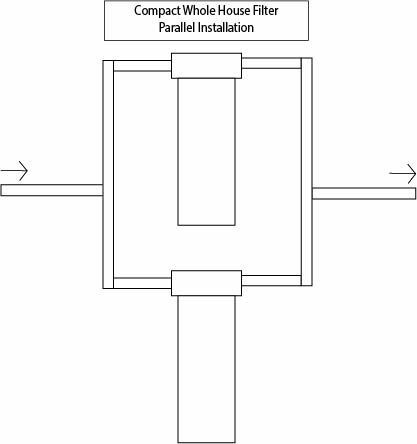 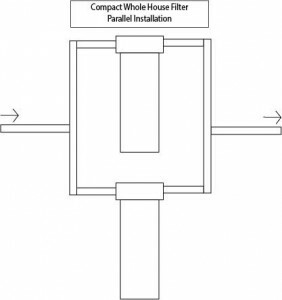 For a sediment filter followed by 3 carbon or media filters installed in parallel. 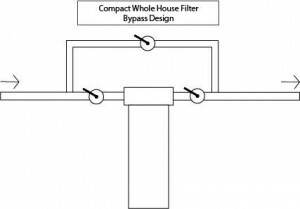 Bypass. 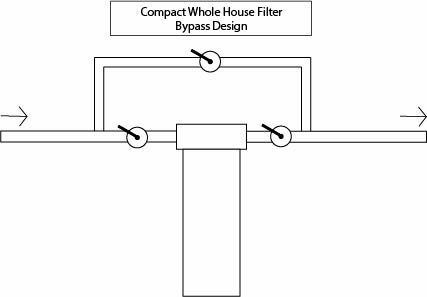 Either a single filter or an entire array can be isolated with a 3-valve bypass.